Airlines haven’t been offering great news about upgrades recently—at least not free ones. Having lowered upfront fares, carriers are now selling more seats for actual money, thus offering fewer upgrades for points. That makes airlines more money, but doesn’t make travelers with status happy. The silver lining here, of course, has been surprisingly low-cost business and first-class fares. They’re not exactly $65 Norwegian rates from the U.S. to Europe, or the new carrier Level’s $149 U.S.-Barcelona tickets, but paying just $7 more than you would for coach to get a first-class ticket from Los Angeles to Portland, Oregon, is nothing to sneeze at, either. Now, Delta has quietly rolled out an initiative that lets customers upgrade individual legs of their flights after booking—elevating a coach seat to Comfort+, Delta One business, or even first class—regardless of how the ticket was purchased, as long as the whole itinerary was operated by Delta. In the past, you used to have to pay the fare difference and change your ticket; this new offering is similar to the à la carte pricing moves of budget airlines, which let you add and change things after buying your base fare. 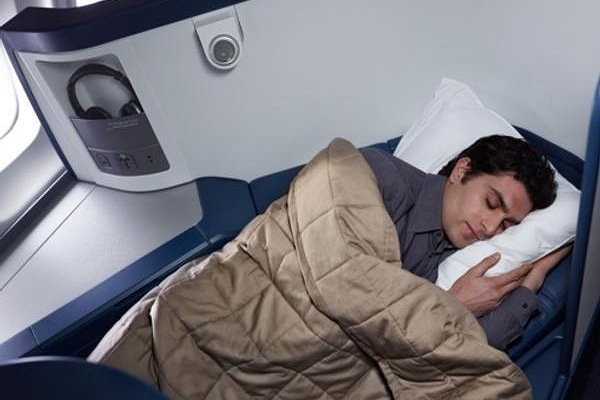 This means, for example, that you could pay to get yourself a good night’s sleep by upgrading to a lie-flat seat in Delta One only for the overnight, red-eye leg of your trip across the country or for a more far-flung international destination. For a (hopefully) easier-to-handle daytime flight in the other direction, or for a shorter connecting flight, you could stay in coach. That potentially saves you from suffering through jet lag or the worst of your leg cramping, and it also saves you money, since you’ll only incur the cost of the upgrade for one of the legs. The initiative seems like such a no-brainer—at least from a customer point of view—it’s hard to believe that every airline hasn’t been doing this forever. But, in fact, no other U.S. airline lets you upgrade a ticket like this. George Hobica, founder and editor of Airfarewatchdog, says that Delta is indeed an outlier. “They were first to announce to investors that they planned to sell the majority of their business/first and even premium economy seats rather than giving them away,” he says. And this leg-by-leg upgrade program is one more way they’re looking to do just that.